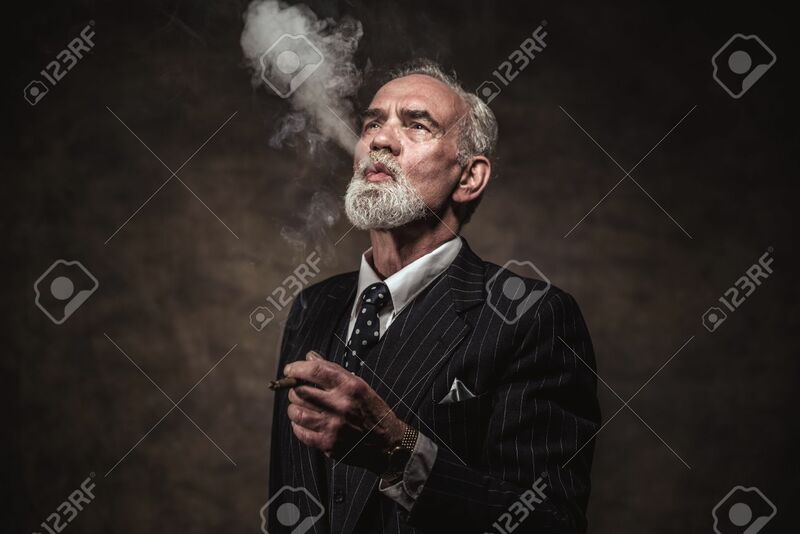 Cigar Smoking Characteristic Senior Business Man With Gray Hair.. Stock Photo, Picture And Royalty Free Image. Image 32035078. Stock Photo - Cigar smoking characteristic senior business man with gray hair and beard wearing blue striped suit and tie. Against brown wall. Cigar smoking characteristic senior business man with gray hair and beard wearing blue striped suit and tie. Against brown wall.